To compliment your beach getaway we offer you recreational activities such as beach volleyball. Pump up the fun by playing beach volley ball with your friends and family on the resort’s white sandy beach; it is a great full-body workout under the sun. Join us on our cycling tour, see the surrounding area of Nusa Dua. The tour will start in the morning from the resort’s Fitness Centre and our friendly guide will take you cycling through the nearby village and green garden of Nusa Dua complex and its point of interests. This activity can only be done in a certain water (pool) depth. The movements are very fun and energetic, and are combined under and above the water. Aqua Aerobic is good for maintaining healthy weight and shaping your body. See you at the main pool area. Bend it like Beckham, but this time, do it on the beach. This fun activity is played on our sand courts with a smaller size field than the original football field, and uses mini wickets. The role is made to be easy, fun and challenging. So let’s kick it off. Your Golf exercise at your door step! 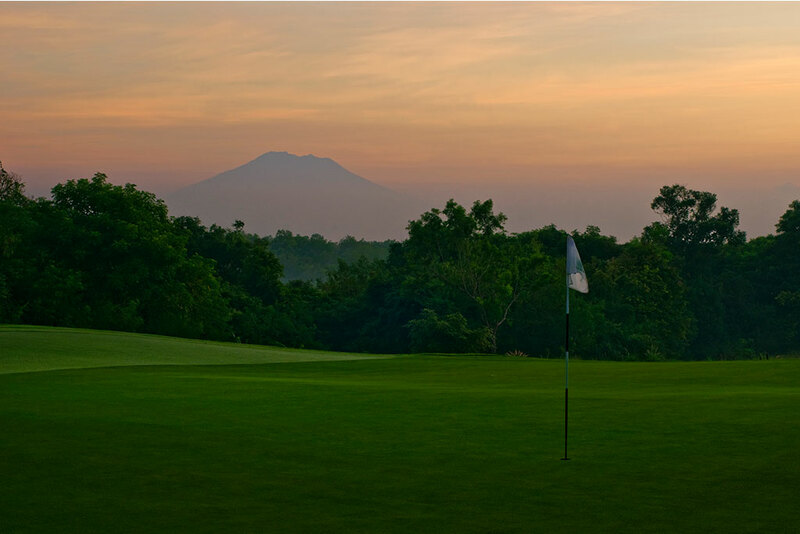 Golfing in paradise with Bali National Golf Club is a truly unique golfing experience, with three distinct playing environments throughout the 18-hole course. 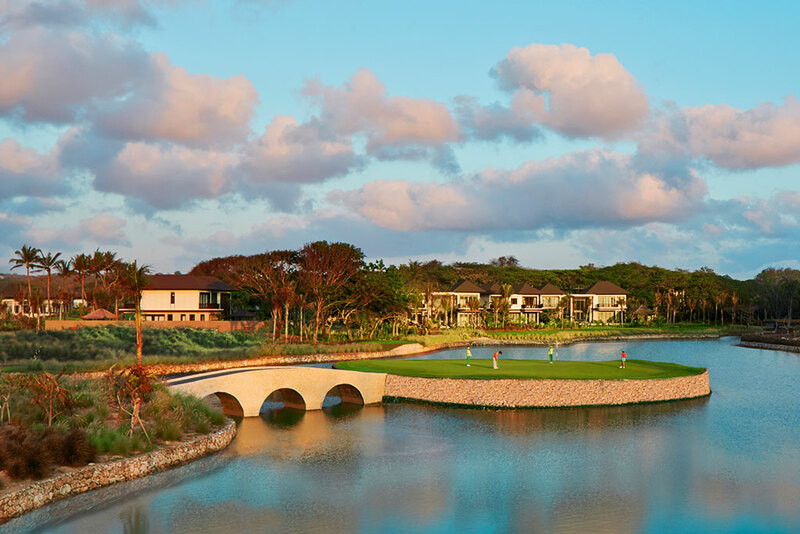 Holes 1 through 9 feature creeks, canyons and native vegetation filled with tropical birds, whilst holes 10 through 16 offer the golfer lush gently sculptured fairways through a mature grove. The island green hole 17 and lakeside hole 18 are the challenging finishing holes to test every golfer. Perfect for trying to keep your kids out of trouble, or simply to keep active during your stay, why don’t you try our outdoor ping pong game by the beach. Paddles and balls are provided for your enjoyment.